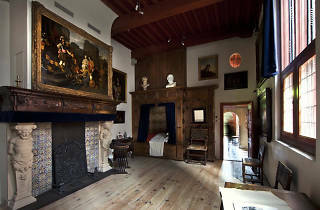 Rembrandt bought this house in 1639 for ƒ13,000 (around €6,000), a massive sum at the time. Indeed, the pressure of the mortgage payments eventually got to the free-spending artist, who went bankrupt in 1656 and was forced to move to a smaller house (Rozengracht 184). 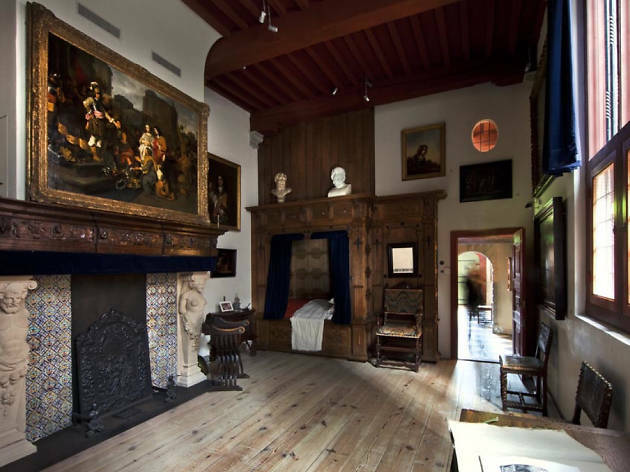 When he was declared bankrupt, clerks inventoried the house room by room; it's these records that provided the renovators with clues as to what the house looked like in Rembrandt's time. You can't help but admire the skill and effort with which craftsmen have tried to re-create the house, along with the antiquities, objets d'art (Rembrandt was a compulsive collector) and 17th-century furniture. However, the presentation is, on the whole, dry and unengaging. Nagging at you all the time is the knowledge that this isn't really Rembrandt's house, but rather a mock-up of it - which lends an unreal air that is only relieved when guest artists are allowed to use the studio. There's also a remarkable collection of Rembrandt's etchings, which show him at his most experimental, but if it's his paintings you're after, make for the Rijksmuseum. Admission €12.50; €10 students; €4.00 6s-17s; free under-6s, MK.